It had become a running ‘joke’ for a long line of Head Girls at our girls grammar school, that every year rep, at every school council meeting, would raise, as the very first thing, without fail, that they wanted to wear trousers. There were notes from every Head Girl saying it was the most important thing the girls wanted and that this request would be refused. It seemed crazy to me, as Head Girl, that we would ask the girls what they cared about most and then ignore it. There were so many reasons they wanted it changed: winters in the UK are freezing; they wanted to be comfortable (especially when they had their period); they didn’t want to feel pressured to roll their skirts up; hated wearing tights; hated sitting crossed-legged in assemblies. I thought “It’s 1997! Why can’t girls wear trousers! ?” I challenged the head teacher about it and distinctly remember the disappointment of her saying. “Yes, we know that’s what the girls want, but it just can’t happen.” I raised all of the good reasons from the girls and the head teacher gave me no good reasons in return. It was ‘just the way it was’. Things could, and would, change, just not then. It stuns me that in 2017, we’re still having these conversations and still meeting resistance. 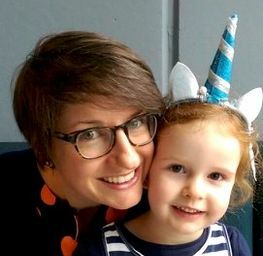 I want my 4-year-old to go to school and focus on her education and wear whatever makes her comfortable and warm – if that’s trousers – give me a good reason why not.